ControlTalk NOW — Smart Buildings VideoCast|PodCast for week ending August 28, 2016 — Is aptly referred to this week as “The Show that Almost Was,” because of travel constraints and preparations for the 2016 CTA Awards. Still, we are able to present an abbreviated time-lapse preview of the ControlTrends People, a new PodCast series that focuses on the life stories of the people in our industry that make it great. Special thanks to Tridium’s Jenny Graves, Nino DiCosmo, Pranay Prakash, John Sublett and Ed Merwin for their hospitality and support. Also, this week, Contemporary Controls’ introduced their new EIA-485 Terminator; an Updated Ken’s Calendar; and a Heads-up on two important Webinars: Belimo’s Webview and OPTIGO Networks’ Visual BACnet. CTN 193 The Show That almost Was from Eric Stromquist on Vimeo. Contemporary Controls’ New EIA-485 Terminator Provides Fail-Safe Biasing for BACnet MS/TP and Modbus RTU Networks. New EIA-485 Terminator Provides Fail-Safe Biasing for BACnet MS/TP and Modbus RTU Networks. Contemporary Controls‘ 485-TER is a standalone active terminator that is used on popular EIA-485 networks such as Modbus RTU and BACnet MS/TP providing sufficient termination and biasing for stable operation. Fail-safe bias ensures that an un-driven line assumes a defined state. ControlTrends Keeps an Eye on 2016 Events with Ken’s Calendar. While it has been an amazingly busy and productive year so far, many more events are on the horizon. ControlTrends will continue to post the event information as we receive notice or become aware of the event. Please note that the information is gathered from various sources, and the times, dates, and locations may have changed. 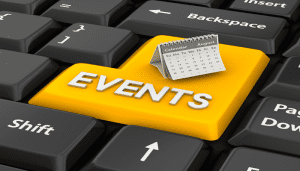 Be sure to visit the appropriate website or contact the event coordinator to ensure the most up-to-date information. Belimo — Communicating with the Energy Valve through WebView, the New Data Analysis Tool, and BACnet Webinar. Join us for a 30 minute webinar on the communication features of the Belimo Energy Valve. 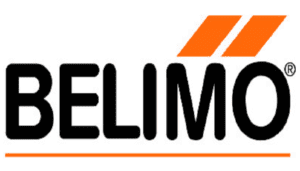 We will review connecting to the Energy Valve’s web server TCP/IP from a laptop or PC and discuss how to download data files using the New Belimo Data Analysis Tool. You will also learn how to use the Belimo ZTH US tool to easily adapt the flow settings of the Energy Valve as well as information on the BACnet features of the Energy Valve will be discussed. 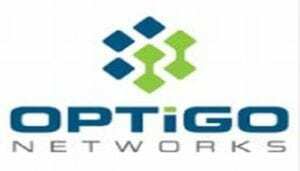 OPTIGO Webinar: Troubleshooting BACnet in Wireshark — Featuring Steve Karg, Sep 8th, 2016, 11AM PST. Not sure what is happening in your building network? Dealing with poor network performance? Use Wireshark, a free network packet analyzer, to dig into the network traffic to uncover the root cause of the issue. Wireshark is a free network packet analyzer that helps troubleshooting by capturing network packets and allowing you to browse the network traffic to isolate the issues in a network. OPTIGO Networks provides advanced visualization tools to help you gain insight into the health of your BAS deployments. New EIA-485 Terminator Provides Fail-Safe Biasing for BACnet MS/TP and Modbus RTU Networks. 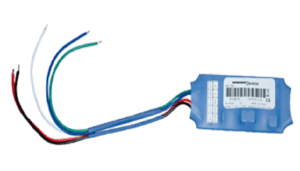 Contemporary Controls‘ 485-TER is a standalone active terminator that is used on popular EIA-485 networks such as Modbus RTU and BACnet MS/TP providing sufficient termination and biasing for stable operation. Fail-safe bias ensures that an un-driven line assumes a defined state. When a head-end device does not have internal bias and termination two 485-TER devices should be installed – one at each end of the network. This will provide stability and error free communication. The 485-TER can be used with either 2-wire non-isolated EIA-485 networks or 3-wire isolated EIA-485 networks.